THURSDAY. Good Morning! As January is the month for new beginnings and all, i've been looking into ways to organise and make the most of my work space. I've definitely found a few options but i'm still drawn to this chalkboard calendar idea pictured above - it's so cute! Let's discuss...how do you organise your work space? Love these inspiration posts and love your blog, you have such a beautiful style. There's so much work space as well. i love all these office spaces! they're so fresh and clean and inviting. i like putting beautiful inspiration on my walls in my work space! 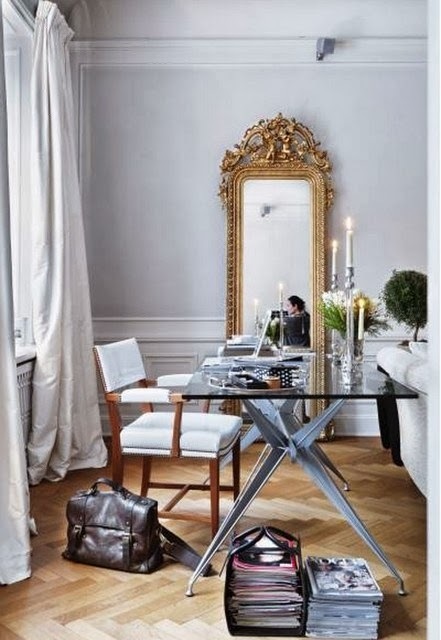 I'd love a nice big office with a glass desk and loads of diptique candles!! Your selection of office spaces is so in tune with what I like. Thank you for sharing! 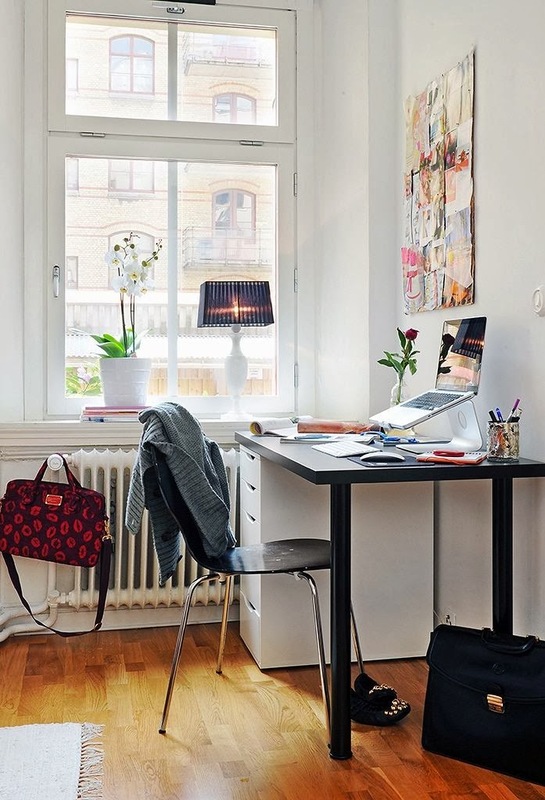 Thanks for sharing these inspirational office decor photos. Great post. lovely places, great ideas to decorate, all are very inspiring! 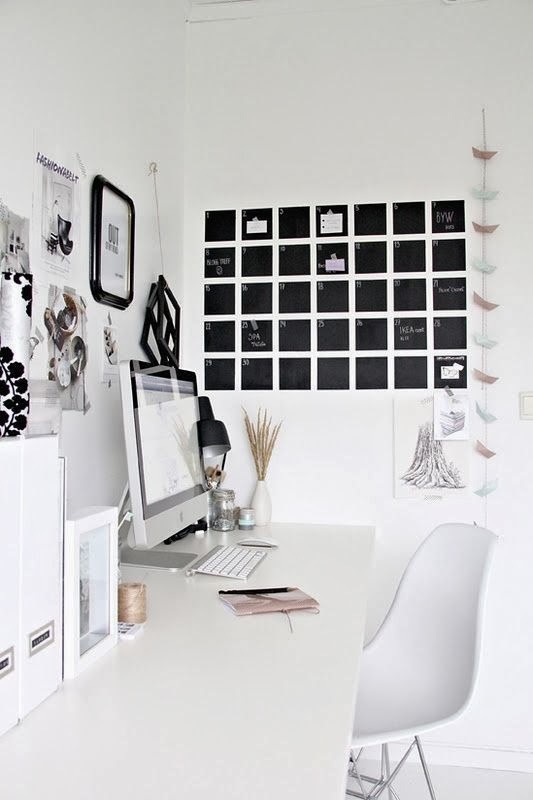 So much love for this inspiration post, I especially like the completely monochrome office! Ahhh LOVE LOVE LOVE! I wish I had an office! I love this stuff! 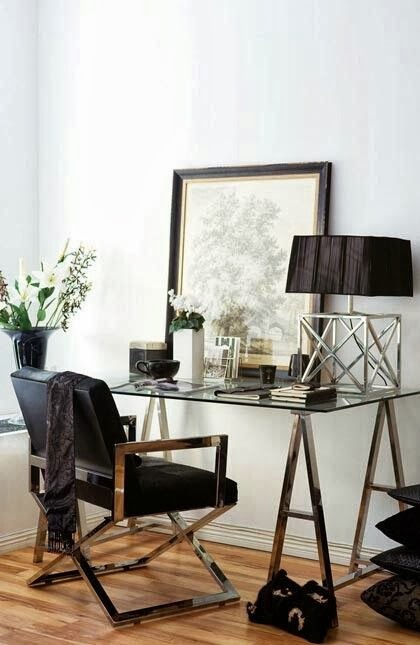 A great work space is everything! You have a good taste for design, Michelle. An office should be bright and free from any form of distraction. I noticed that you mostly picked out inspirations that are clutter-free, which, in my opinion, is ideal for a home office. Anyway, I hope you managed to turn those inspirations into a reality soon. All the best! I think when it came to creating a great office, I kept three things in mind; style, functionality and impression. These three things allowed to me to create a space that gave me the right energy to run my business. These offices are amazing, and they look like they breath life into whatever project is being built in them.